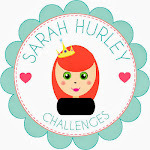 Sarah Hurley 365 (Formerly Sarah Hurley Challenges): October is here! And if you are anything like me, that can only mean one thing...HALLOWEEN!!!! I just love it and everything about it, from the dark nights to candles, to spooky things and witches, sweeties and pumpkins but most of all the gorgeous crafty goodies that are available to make this season even better! The latest issue of Sarah's Lookbook is out now, full of inspiration and crafty loveliness and this is what I made this Halloween Wreath for. We are having a Halloween party this year and it is never to early to get organised and make decorations for it. I used my trusty Cameo for this and different shapes from Sarah's Silhouette Store to make this. 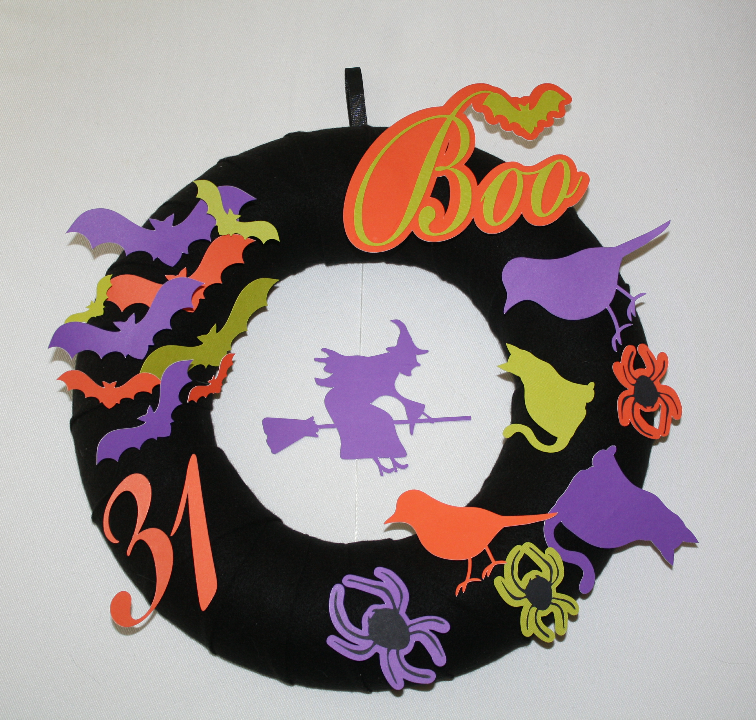 I used a polystyrene wreath covered with strips of black felt as the base. I chose 3 different colours of card stock and black to make it as effective and striking and of course "Halloweeny" as I could. I discovered that gluing hat pins onto the back of the cut out images with a hot glue gun allowed me to make it more dimensional, plus I could move them about more if I wanted to. the witch in the middle is double sided and has clear fishing line in between the two layers so she moves. I can't wait to put this on our front door.